In our home, my husband and I both start feeling stressed when things get cluttered. Thankfully, we both appreciate a clean and organized home. But, real life with two young kids means that our home gets unorganized and cluttered quite easily. How about you? A home full of clutter and unnecessary items can lead to a lot of confusion in everyday life. 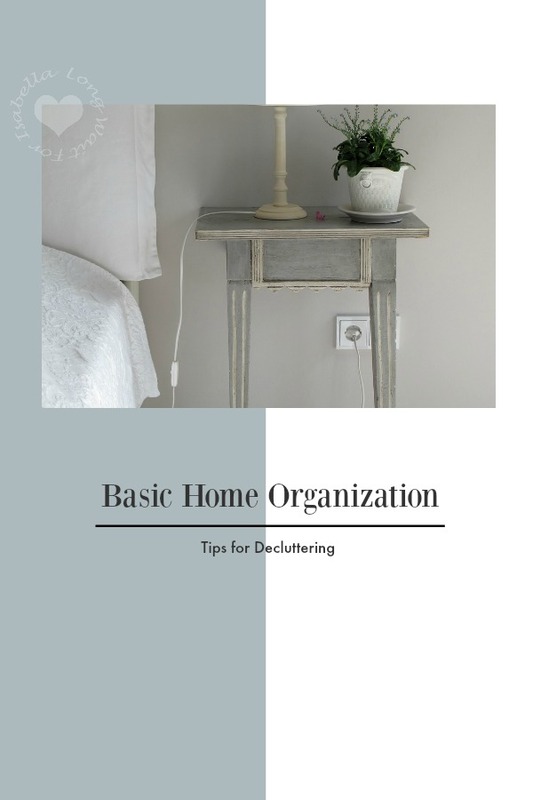 It is important, therefore, that some basic home organizing steps be followed by everyone which will ensure that the house remains organized and neat at all times. 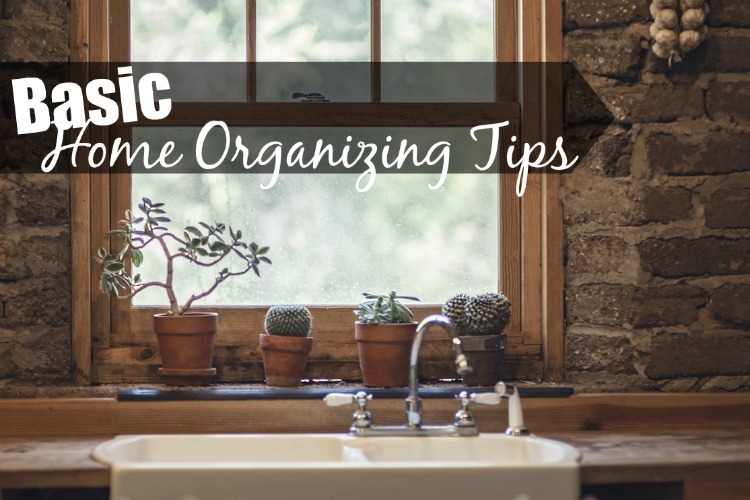 Here are four basic home organizing tips to help declutter with minimal effort. Make these tips a part of everyday life and enjoy coming back to a tidy house. Organizing the home and keeping it free of clutter will be easier if some home organizing ground rules are set for the whole family. For instance, remove dinner plates from the table as soon as the meal is over and have children pick up toys right after they’ve finished playing. Simple rules, such as these, will ensure that everything is in its place and can be found when it is needed without any problem. Postponing unpleasant tasks such as dealing with junk mail only results in clutter buildup. Procrastination does not serve any purpose and it will be much easier to get rid of clutter as soon as it starts to build up. Take a minute before starting to write that letter to organize the desk drawer or organize the bathroom closet after a shower in the evening. Doing these little things will keep clutter-prone areas organized and well-arranged. Designate a particular spot for every thing in the house. This means that keys go on hooks, books into bookshelves or spoons go into the spoon holder. Communicate to family members that by putting things where they belong, it will be easy to find them and the house will look tidy and clean at all times. Garage sales are a great way to get rid of junk and clutter. Hold a garage sale at least once a year to dispose of items that are no longer needed or are too old or need repair. Use these sales to get rid of old clothes, furniture, appliances, and other such items that tend to add to the clutter and chaos at home. Ensuring that things are put in their place and tackling clutter through garage sales and donating items to charity will keep the house free of unnecessary items and prevent junk from accumulating. Involve the family in keeping a tidy house and create a haven of comfort, peace and harmony.